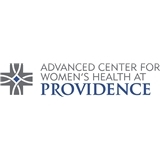 Advanced Center for Women's Health at Providence (El Paso) - Book Appointment Online! Dr. Jezari was amazing. Very kind hearted. Took her time with me. Made me feel at ease not rushed like other doctors make you feel. I am a doctor myself, and she is the best doctor I have ever met, much less been seen by. Extremely knowledgable and intelligent, with a great, warm bedside manner. Very rare to find all these things in one person, but Dr.Davis embodies them all. She has my strongest recommendation. The staff members are pleasant, kind, and efficient as well. We have been patients for several years, Dr. De La Rosa was my moms OBGYN 16 yrs ago, and now mine, I have recommended him to many friends and family members. We love the staff and appreciate all your hard work. Thank you! Visit was greet as usual but pleas let the patients know what going to be done before (i.e. an ultrasound) because the patient may not need or want it. Everyone is always very kind! She was very understanding of the situation Im in and had the knowledge to help push me in the right direction. Couldn't have asked for a better visit.